The Fusion is Ford's best shot at eventually reclaiming the car-sales crown it last held in the 1990s heyday of the Taurus. DETROIT (Bloomberg) -- Ford Motor Co. said it’s starting additional production in the U.S. of its Fusion as the family sedan challenges Toyota Motor Corp.’s Camry as the nation’s top-selling car. The shift of 1,400 new workers at Ford’s assembly plant in Flat Rock, Mich., will boost capacity more than 30 percent, the company said today in a statement. Demand for the car has overwhelmed the only factory where it has been made, in Hermosillo, Mexico. The increased supply will test the staying power of a more than $2,300 per-sale premium that Fusion has commanded in the U.S. this year over Camry, the market’s best-selling car for the past 11 years and 15 of the last 16. The Fusion’s sale surge -- 13 percent this year through July -- has cut a quarter of Camry’s sales lead, demonstrated how much consumers care about attractive design and shown how aggressively U.S. carmakers can now compete in all segments. Ford’s Hermosillo plant couldn’t make more than about 350,000 Fusions and Lincoln MKZ sedans annually, according to LMC Automotive. The Flat Rock factory, which has been building only Mustang sports cars, will be able to produce as many as 100,000 more Fusions a year, LMC said. 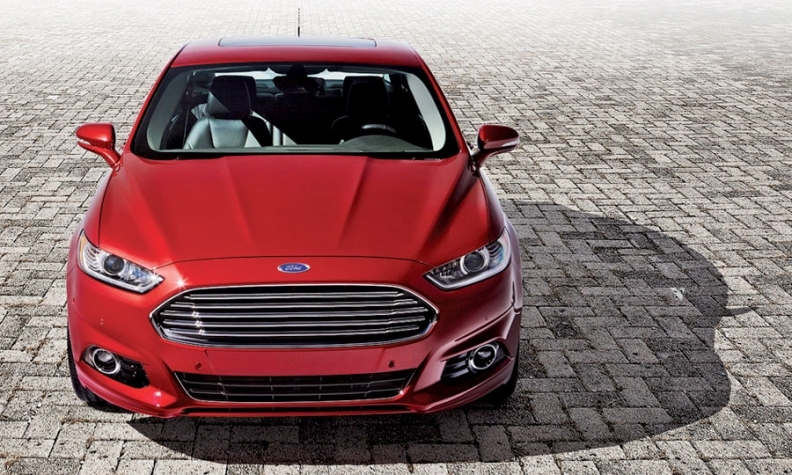 The availability of Fusion in North America will rise to as much as 350,000 cars annually, Ford said. The average price Fusion has sold for this year through July rose 5.8 percent to $26,343, behind only Volkswagen AG’s Passat among mid-size cars, according to Kelley Blue Book. Fusions are selling at a premium of $1,176 to the segment average and $2,378 above the Camry, which ranks No. 11 in segment pricing this year, behind entries such as Chrysler Group LLC’s 200 sedan, said the researcher, which includes some incentives in its analysis. Camry’s average prices have fallen 2 percent to $23,965, and the car has slipped from ranking eighth in the segment a year ago. The added Fusion output draws Ford closer to production levels that Toyota and Honda Motor Co. reach with their Camry and Accord. It also positions the No. 2 U.S. automaker to continue growing in coastal states that were long a source of weakness. In California, a state that has given U.S.-based carmakers fits for years, the Ford brand’s 18 percent jump in light-vehicle sales during the year’s first half put the marque within 0.1 percentage point of the Honda brand’s market share, according to the California New Car Dealers Association. “With its bold design and great fuel economy, Fusion has exceeded all of our expectations, with demand outstripping supply,” Joe Hinrichs, the company’s president of the Americas, said in a statement. The Fusion's redesign has drawn comparisons to Aston Martin styling. General Motors Co.’s Chevrolet Impala last month received the highest rating from Consumer Reports among all sedans, a first in at least 20 years for a U.S. carmaker to have outscored all Japanese and European competitors in that segment.